Este mes de noviembre que nos deja , el watusi nos decubre una banda canadiense que se ha merecido se disco del mes THE TRANZMITORS LP del 2007,banda influencia 1979 !!! 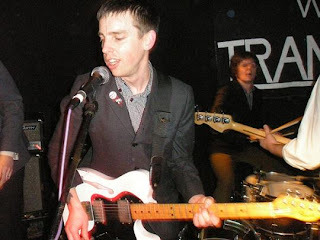 "If the Libertines' formula for success was "look like The Beatles, sound like The Clash", then The Tranzmitors' is look like extras from Quadrophenia, sound like a punkier Jam. And as you might expect, this is going down pretty well on both sides of the Atlantic, from their native Vancouver, Canada, to north London, via Guildford, Hitchin, Newcastle, Liverpool and Brighton." bajatelo aqui el disco,y recuerda compra vinilo.